The party was wonderful. As crazy as it was to put together, it had a very laid-back vibe in the end. The kids had a blast. The grown-ups had a good time. My friend Wendi, who has an in-home bakery called Sweet Sugarlicious, made a beautiful cake and cookies. She also worked her magic with the face paint! The hubby bravely shaved off his beard and donned some clown makeup. He was a great clown, but the makeup burned his face, so the clown only lasted about half an hour! Big Sis received many wonderful gifts, including a ton of books. My father gifted her with not one, but two cameras: one of his old digital cameras and a Fuji Instax Mini. The Instax has been a great deal of fun. 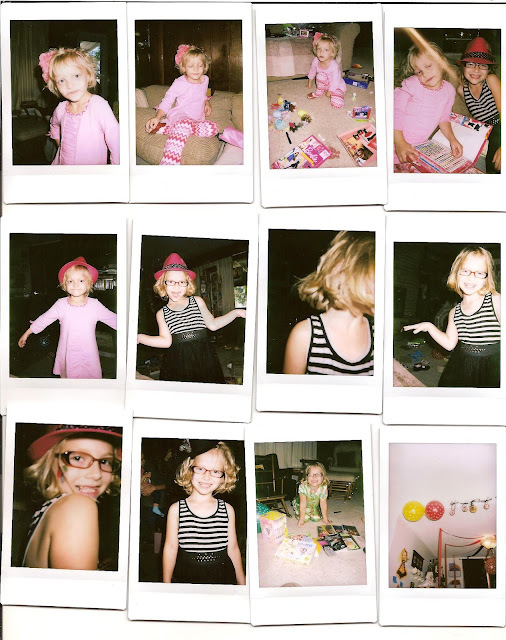 I scanned some of my favorite instant photos from the evening of the party. So there you have it. 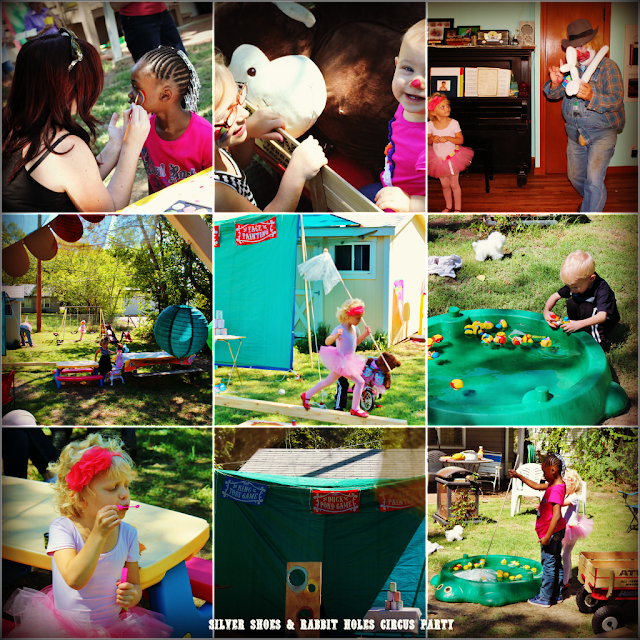 Our circus/carnival birthday party. Little Sis has a birthday in November (Raggedy Ann! 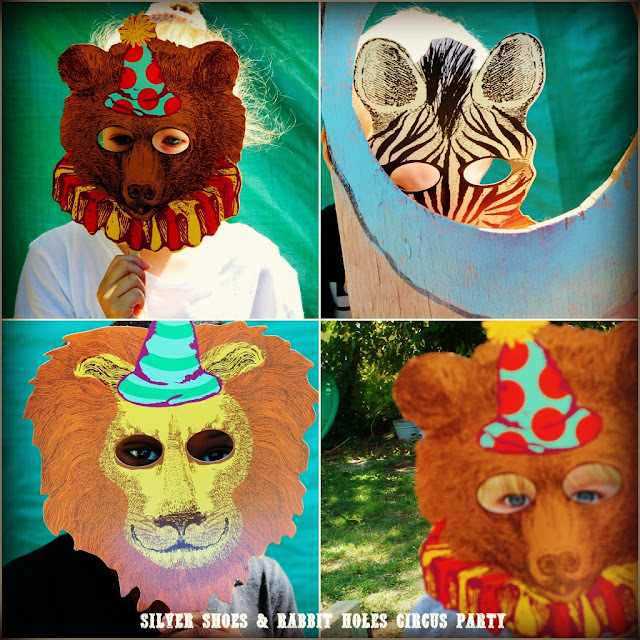 ), but she's shy and her parties are smaller. Thank goodness. Now all I want to do is sleeeeeeeeeeeep. To get a glimpse at some of our prep work, see this post. Thanks! We had some unexpected crappola arise: someone (not at the party) stole my purse through the open front door of my house while everyone was in the backyard. We're working with the police to try and hunt them down. (They used my debit card, and the hubby and I have our suspicions.) That has truly added to the tired feeling. Oh my goodness that is horrible!! So sorry to hear that, that is unreal!! WOW. Just....WOW! love the expression on her face! Good work! You = AMAZING!! love those polaroidy pix! Aww, thank you! I must give lots of credit to the hubby: Mr. B really came through for me. I had the ideas, but he got so much of it together himself, then shaved off his beloved beard to be a clown. Fuji Instax Minis are awesome! I may have to get my own film and borrow hers sometime. The pictures are smaller than an old-school Polaroid. They're the size of a credit card. She has had more fun with this thing. Looks incredible! I love all you pix :) what a lucky little girl! 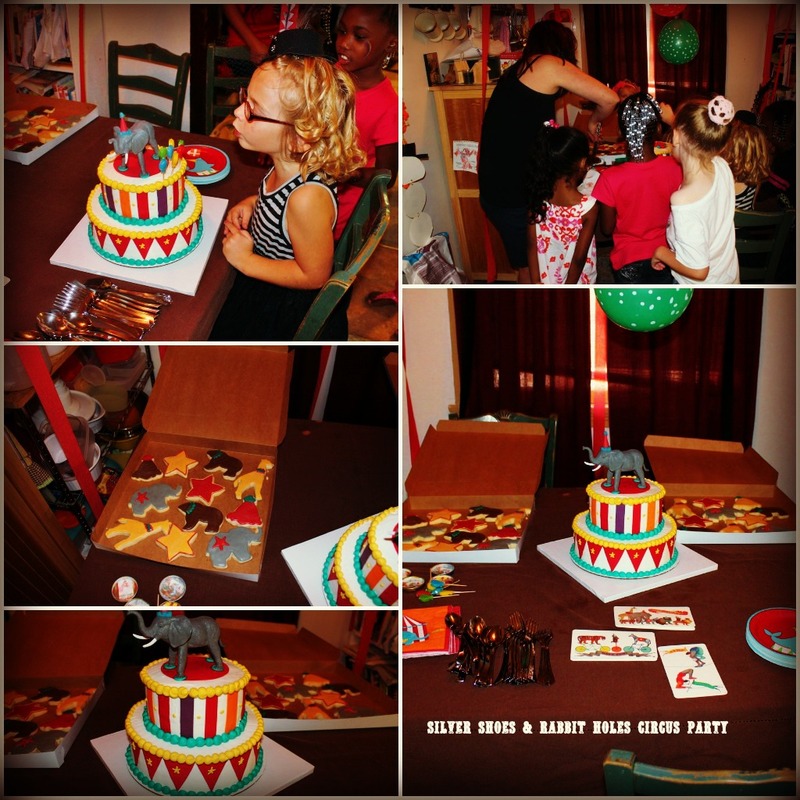 I'm glad it was a laid back fun birthday party in the end for you too- that's what really makes a great party! nicely done. These pictures are amazing! What a magical day for Miss G. You are an awesome Mom!